2017 was my year of social quilting. I joined a ton of quilt alongs, including Bonnie Hunter's annual mystery quilt, On Ringeis Lake. 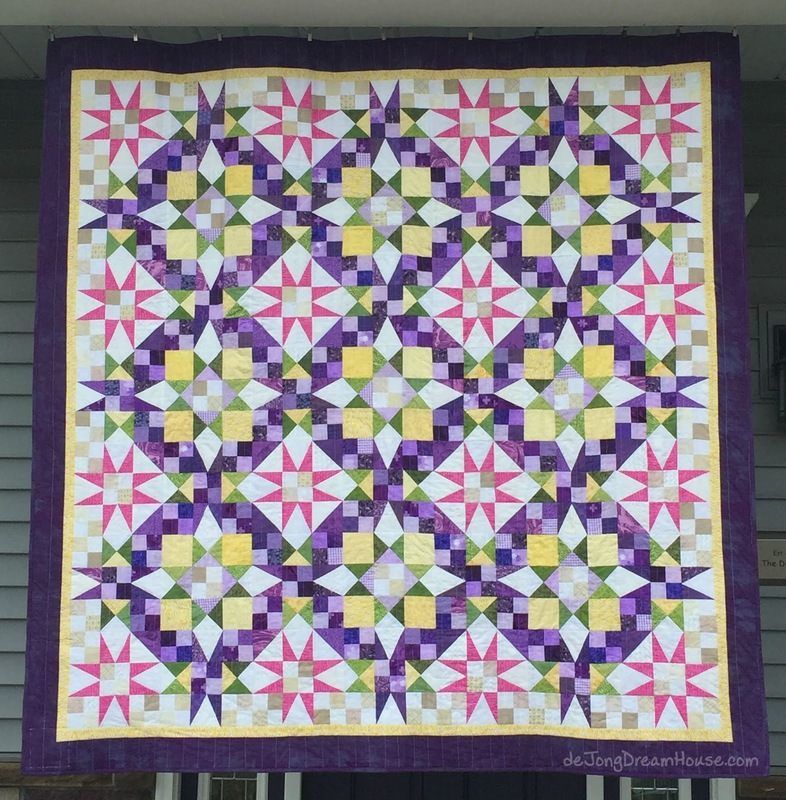 The very first quilt along I ever did was Bonnie's 2016 mystery quilt En Provence, which I called A team en Provence. Bonnie is the queen of scrappy quilts. I now look forward to her annual mystery because I now I can make a (small) dent in my scrap bins and end up with something stunning. 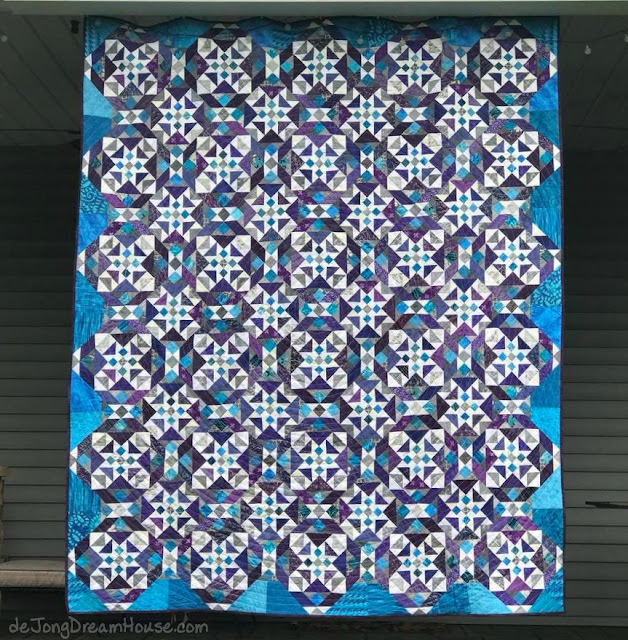 I seem to use a lot of blues, teals, and purples, so this year I veered from Bonnie's color way. Because it was a mystery quilt, I had no idea what the finished project would look like. I also had no idea to whom I would gift the quilt. 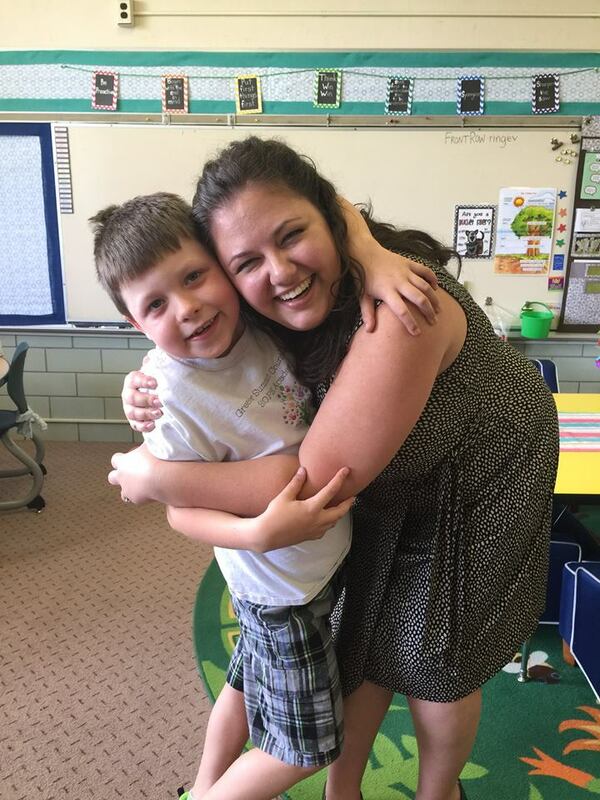 As the weeks went along, I started thinking about my son's teacher. At D's school, teachers move up with the class, so Mrs. Ringeis was completing her second year with with D. I remembered how she met him when he was brand new to the school in preschool and joined an after school Lego job that she oversaw. The very first time I picked him up, she pulled me aside and said, "You know he's gifted, right?" I don't talk too much about D's giftedness, in large part because Mrs. Ringeis was the catalyst for us getting him tested and finding resources to support his quirks and asynchronous development. She took him under his wing before she was his teacher, and since becoming his primary teacher he has matured and bloomed. She "gets" him and he adores her. 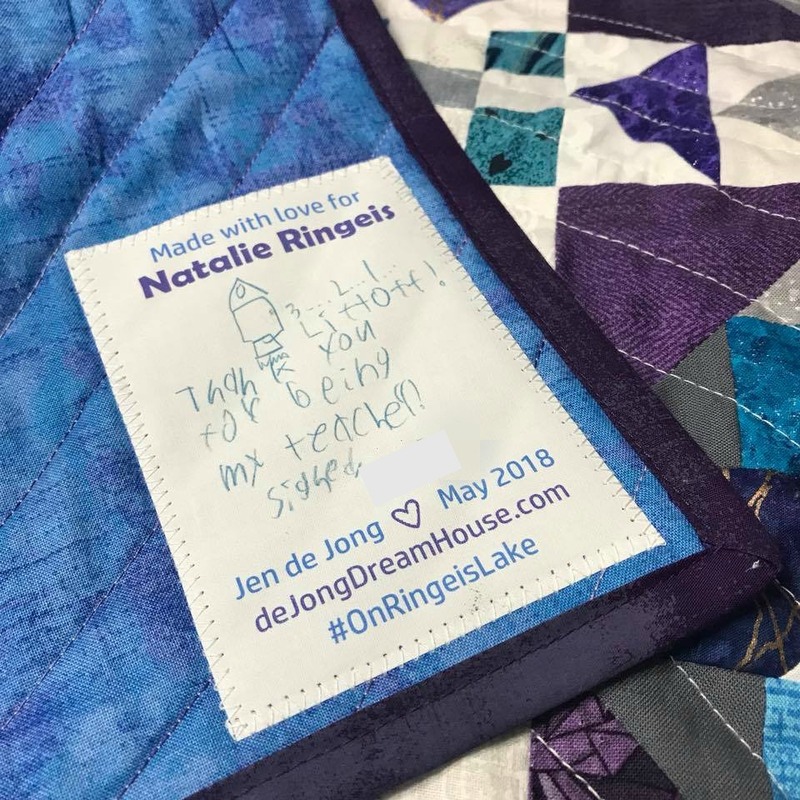 With only one more year left with this amazing school, I knew I needed to start working on quilts for all the incredible people who have been such a huge part of D's life so far. So Ringo Lake became Ringeis Lake. 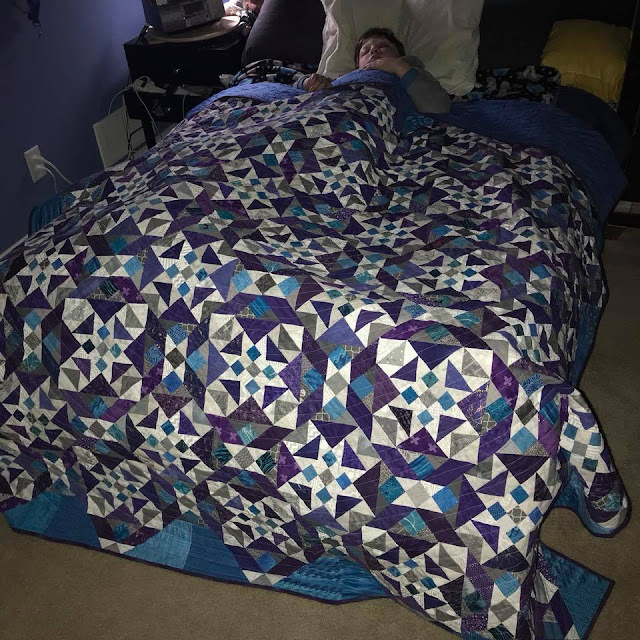 After the quilt was finished and D had slept with it--the final and most important step to "seal in the love"--I emailed the school to get permission to come by to deliver it. When she saw D with the bag, she looked at me and said, "No, no, no! I have one more year!" I assured her we weren't going anywhere! This is one of my favorite quilts for one of my favorite people. And I love that D helped with the label. To see more pictures of the making of this quilt, check out #OnRingeisLake on Instagram. To see what I'm currently working on, follow me on at deJongDreamHouse. That is so lovely! I'm sure D's teacher was incredibly touched! As a quilter, I enjoyed the colors and design; as a teacher myself I enjoyed the story of your son and his teacher. 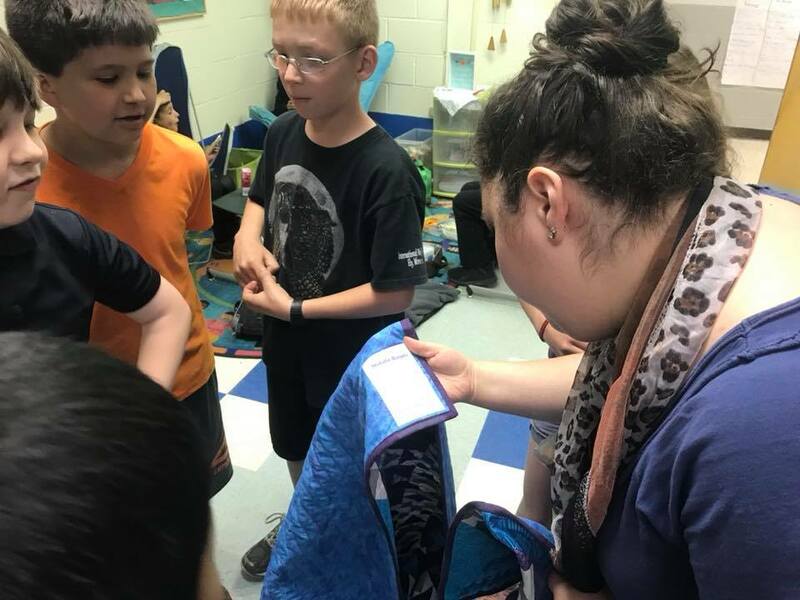 What a wonderful gift for a special teacher!! LOVE your alternate color plan for On Ringo Lake! Your Ringo Lake looks fantastic. Love the colors. That butterfly is far out! Wow! That is some generous gift! Design wise, I love what you did with the colorway! I love your Bonnie Hunter showcases. I did her mystery once and it was the year the pattern wasn't as good. I changed the quilt significantly from the pattern. I may do one again though just because I love mystery. I love your quilt stories. There is a story behind every quilt. For me it is where I bought the fabric, or who I sewed it for and why, or the friends I made online while making it, or who I sewed it with, or who gave me the idea to make it. 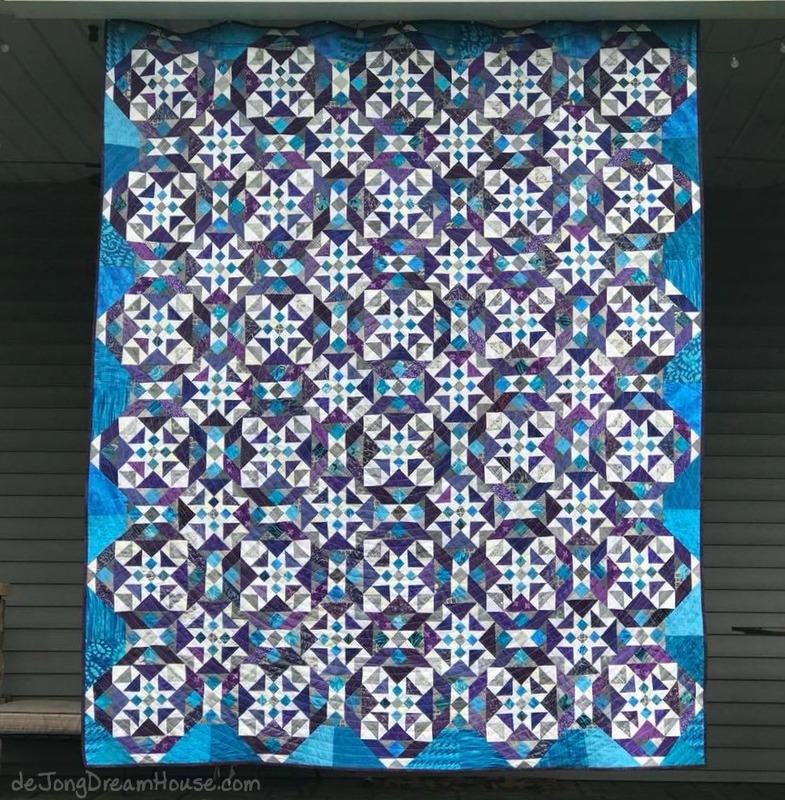 This quilt looks wonderful in blue! Wonderful interpretation! I followed Bonnie's colorway and have the top pieced but haven't quilted mine yet. What a touching story! All of the recipients must have been over the moon. BTW I LOVE that butterfly quilt. Did you make all the blocks or was it a group effort? What a gorgeous finish and a wonderful gift for someone who sounds like a fabulous teacher. Those are big quilts, with lots of blocks, and they are all very pretty! I just sent my Ringo Lake quilt to the quilter yesterday. Your color scheme is beautiful. What a nice gift to give to your son's teacher. 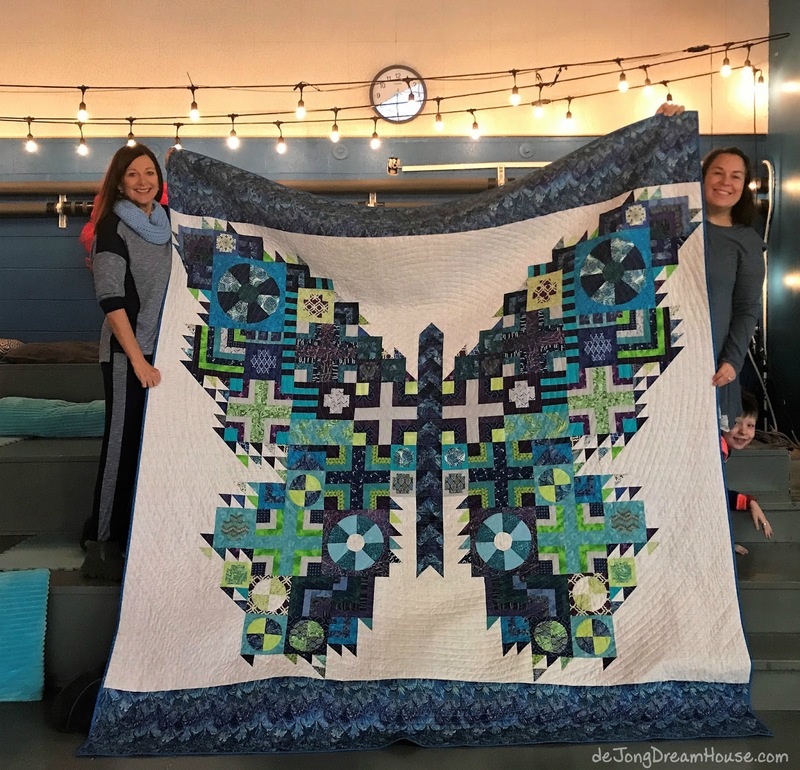 Wow, what beautiful quilts and phenomenal gifts! I love your colors for On Ringo Lake. And so much fun that his teacher's name is Ringeis. What an absolutely wonderful gift for his teacher. I love how he slept with it first too. And that he helped with the label. What a treasure! I love your stories. You always seem to find the perfect quilt to gift to perfect people. You're so blessed to have so many wonderful people in your life! Thanks for sharing this with Wednesday Wait Loss. 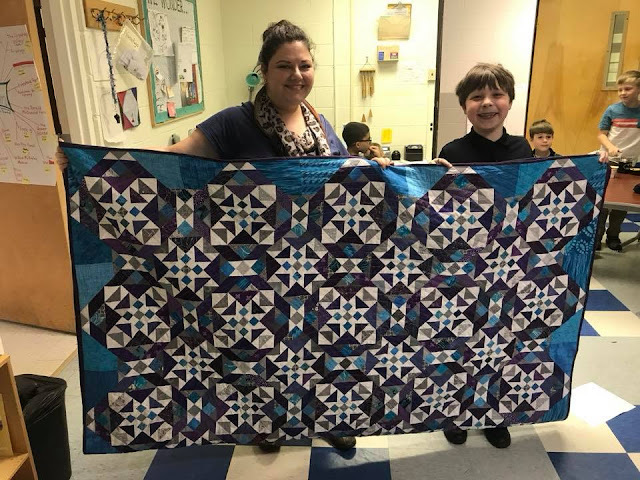 What a beautiful quilt and touching story! Thanks for sharing.